Fill up this album with snaps of the bride and groom taken on their Wedding day. 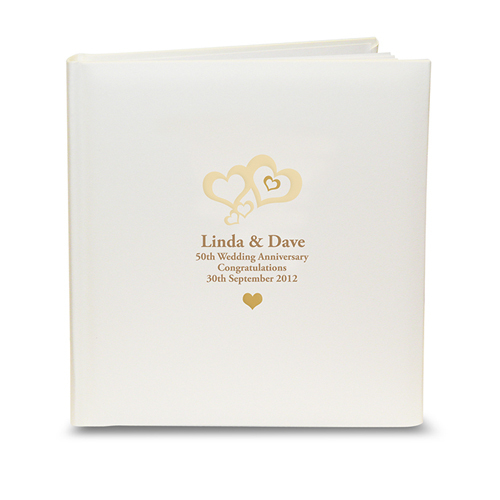 This Gold Love Hearts Traditional Album can be personalised with any message of your choice over 4 lines up to 25 characters per line. he album has approximately 30 tissue interleaf pages.